Now, I was completely discombobulated a few weeks ago whilst attending Steel House Festival in Ebbw Vale. 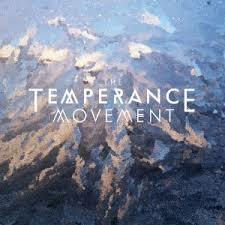 The reason for this was a very astute and utterly mesmerizing performance by The Temperance Movement. Yes I’d heard a few good things about our home-grown wave makers, but this was one of the bands over the whole weekend who I was very keen to hear. So when I heard there was the debut album up for almost immediate release, I had to review it. The album kicks off with ‘Only Friend’ and never ever lets go until the final bars of ‘Smouldering’. As soon as Campbell opens is mouth on Only Friend, its clear that a new talent has been found, and this soulful, gravelly tone combined with the simplicity and organic interplay between guitarists Sayer and Potashnick, make for one effective result! The debut is superb and hopefully it will see the lads get all the success they deserve. 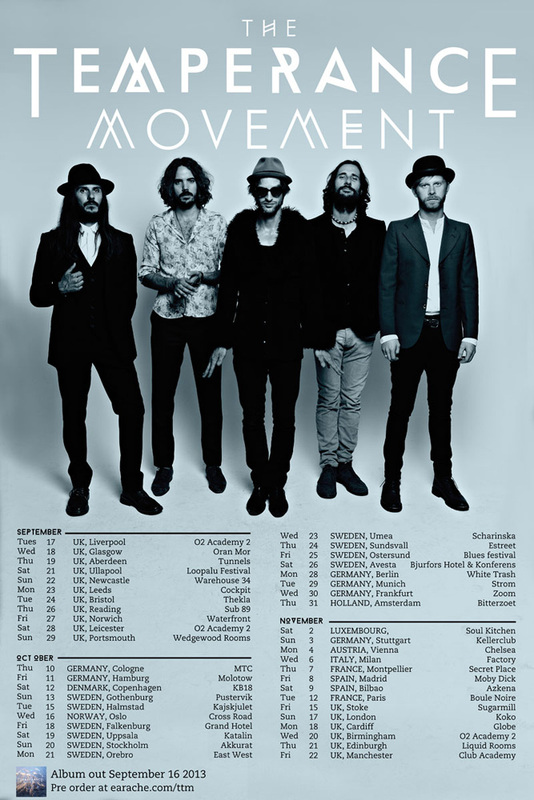 Whilst its great, TTM will be on tour in the UK Sept onward and I cant think of a better way of spending £10 on a ticket and seeing a band at such intimate venues and on fire as these babies take on a different life in a live environment. I sware that it wont be long before you can get this close to them. They are gonna be huge I tell ya….HUGE!